NEW FOR 2016 35 x 12 Two bedroom sitting on edge of sea loch. All our caravans are pet free. Centrally heated and double glazed. 3 night stay with friends. Could not fault anything about our stay!!! Caravan k was excellent, spacious modern caravan that slept 2 adults and 3 children comfortably. The owners were so friendly, Jim went out of his way to make sure we had everything we needed and even provided great ideas to keep the kids entertained! Location is exactly what we needed, peace and quite for the adults and outdoor playing and adventure for the kids. Can't wait to plan our next trip back!! Verry nice place to stay! It was a verry nice place to stay, the caravan was tidy and clean and a beautiful environment!! Thank you! 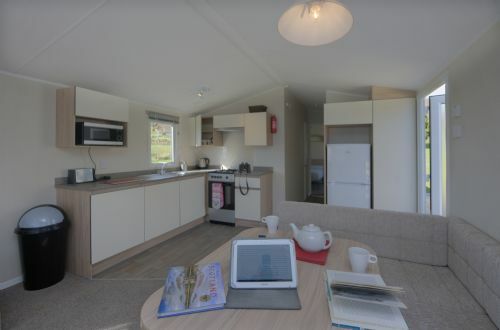 Lovely location and great modern caravan, with fabulous views and very easy access to the beach. The Creagan Inn 5-6 minutes along the road from the site is a great watering hole and eatery. The owners of the site, Jim and Julie Weir, were very friendly and welcoming and ensured that we had everything we needed. This is a great area to visit, the site being in a beautiful setting on Loch Creran, and there is also easy access to Oban and the Glencoe/Fort William area. Can't recommmend it highly enough and will very probably return for another visit for more rest and relaxation. 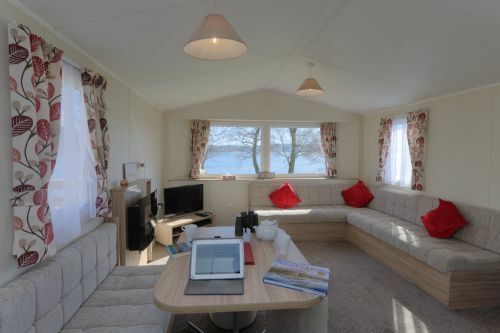 Very large and comfortable 2 bedroom caravan with beautiful views across the loch. The location is perfect for a relaxing holiday. We really enjoyed our stay at Appin overlooking the Loch. The view was a great start to the day. Jim and Julie and Callum were very welcoming and helpful. The Creagan Inn is a short walk down the road and has good value meals and beers. Try the Haggis, Neeps and Tatties. The Appin Lodges are in a good spot and handy for travelling around the area. Oban has trips to Mull and Fort William and Ben Nevis are a short drive up the road. I recommend it for a break away from it all and some good fresh air. Absolutely beautiful place, caravan spotless and the sight well kept. It's our 7th stay, won't be our last! This is our second time at Appin holidays and we really enjoyed it (again!). The caravan is clean and cosy, just on the bank of the lake. We stayed over there last October/November and it was wonderful- nature, lake and sound of peace. This time, the sound of silence was disturbed by 'miggies' (tiny biting flies!!!) which we did not expect at this time of year. The last day of our holiday, I have managed to find a Sports centre in Oban with swimming pool for adults and kids! Moreover, it has a lovely soft play area for children indoors and play area outdoors. Kids really enjoyed this! There is so much to do in Oban whilst you can stay in Appin caravans! Every evening our children were playing in Playhouse, there is Wifi and some DVDs to watch in caravan. My daughter saw a deer! I must admit, my family would love to live at the place like Appin holidays. HIGHLY RECOMMENDED! Excellent location with an fantastic pub nearby! Superbly situated for easy cycling and plenty to do round about. Got over to a couple of islands. Adults loved it; kids loved it! Many thanks. Will be back again!! Very lovely and spacious caravan , most comfortable and warm in this cold March.... very clean and excellent value for money. A warm welcome and very helpful proprietors! This is an extract from Trip Advisor:) I am in top 10%! This is our 4th time in Scotland and this time we have chosen Appin Holidays. The place is really gorgeous with stunning view to the lake and mountains (lots of seals in the lake so not a big chance to catch fish:))) The place looks really deserted- quiet and peaceful. We met the owner (a very friendly lady) of the caravans once and that's it! We felt all the responsibility for our holiday, cleanliness and finding out about the area- this is amazing! We were surprised to see Games room for children and adults with lots of DVDs, books, a number of games and even Wii for kids! This is amazing! There is free WiFi (very good one!) but only in the Games Room which allowed us to plan our holiday properly! There is no heating in the Games Room so we were able to use Internet as long as we felt warm- this is amazing! This is a superb lesson for children who are obsessed with Internet! Want some Internet? No problem- off you go to the Games room. It becomes dark just before 7pm (before we turn the clocks) and the beauty is- kids are scared to go to the Games Room! They are bored in the caravan which leads them to ask parents to play some games together! Wow! I loved this! We rented a caravan for the first time (we always rent lodges) and it was really cosy and clean place (we had K caravan- the newest). As a very 'nasty customer' I would add some things to the caravan but it's only because I would love to have these things if I live there:) I would love to have couple of extra sponges by the sink (to clean cooker, etc), a mat by the door (to clean dirty shoes before stepping inside and not to damage the floor) and maybe somewhere to put wet jackets. But these are minor things which I would love to have when I come for a very wet week's holiday. I am sure other caravans do have these things. Fishing- hmm, tricky thing... First you would need to get rid of the seals and only then (maybe) to catch a fish:))) We went a bit further down the lake (just next to the bridge) and we were able to catch a lot of fish! (Pollock). Things to see- just grab a map of Scotland and keep driving! Oban is very nice town to visit along with the local shops and fish and chips restaurant:) The best place we have ever been- Silversand! Superb place! Clear and beautiful water! In summary- we (as a family of 4) would recommend Appin Holiday Homes 100%. This brand new caravan is very spacious and comfortable. There are lovely views over the loch. It is very peaceful. There is a central heating system with radiators in every room and a handy heated towel rail in the shower room. The kitchen is very well equipped. There is a wide screen TV with free-sat TV channels and a DVD player in the living area. There is a Reception Hut on the other side of the road from the caravans where you can use the free wi-fi; play with a selection of toys, watch TV and play the Table-Top Football game. There is a wide selection of books and DVDs as well as handy tourist information. The location is perfect for Oban, Glencoe and Fort William as well as Mull and some of the other Western Isles. We thought it was great value for money. The owners were very friendly and happy to help with anything. There is a handy laundry on site for a small fee. There is also an old Railway Station on site which they are renovating which was interesting to see. I highly recommend this holiday site. If you stay in the caravans and like to walk/bike in all weathers, it might be useful to take a clothes horse along with you on your holiday to have somewhere to hang your wet clothes! Jim the owner is one of the nicest men I have ever met nothing is too much trouble. The views are excellent from all caravans. The cleanliness of the caravans is second to none. The caravans are well equipped with everything you need. If you don't want to cook then the Creagan inn is the place to be it will not dissapoint. Fantastic walking , fishing and all outdoor activities. We had a very relaxing and enjoyable stay. The caravan was very clean, although I think the pillows and duvets would benefit from a good airing and /or replacing. They did have a "dirty hair" smell which was remedied after buying some fabreeze. This in no way marred our holiday and we would definitely return. Absolutely beautiful location. The caravan was very clean, comfortable and well equipped with everything we needed. We had a fantastic holiday and would recommend to anyone. The Location of the park is excellent we had wonderful views of the Loch from our caravan and our 2 boys loved it! Due to the amazing surrounding area we did not spend too much time in the caravan which was had everything we needed. Would definitely recommend in the summer months - not sure how warm it would be in winter though and take midge repellent in summer. Loved every minute, very relaxing! Friendly greeting, beautiful setting. Would recommend. Met by the owner on arrival, caravan was ready. Beautiful setting right next to the Loch. Very peaceful. Short walk to the local eatery / pub. Everything clean and working in the caravan. Found the TV a little difficult to use as it hummed due to volume settings but figured it out, it was just old but worked. No real problems at all. Not far to Oban and information booklet on the area in the caravan was excellent. Wifi was useful. Would recommend and we would go again if in the area. Very friendly and a beautiful location. Booking through the website is easy - an e-mail acknowledgement was received immediately and a written confirmation just a couple of days later. Manager (Jim) is always on hand to greet you when you arrive. He is happy to make suggestions as to places to visit and is always prepared to answer any queries you may have. Location is idyllic on the shore of the Loch. Caravans are large and comfortable, site is well lit, car parking is neatly arranged away from the caravans. There is a restaurant/pub just up the road which is within walking distance if you want a drink with your evening meal. Grounds are maintained on a regular basis. .
Appin is a good starting point for those wishing to tour Oban, Fort William, Glencoe, and Mallaig by road. Plenty of walking and fishing opportunities nearby, plus excellent landscapes for photographers and artists. Situated on the shore of the Loch, the caravan experiences a range of temperatures from very warm during the day to quite cold after the sun has set (you may need to use the gas fire even in summer). Secondly the site is split by the road from Oban to Fort William. Although traffic is infrequent during the night, I do find that I can be woken by the noise of vans and lorries early in the morning. Thank you ever so much for the lovely review we are so glad you enjoyed your stay. We are pleased that despite the weather you made the most of our wonderful location to get out and about exploring the area.